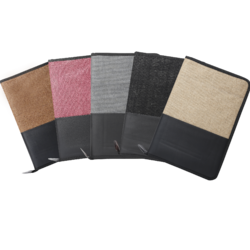 Display Book (clear book with pockets organizing your self has never been easier with Vasta Display books Available in N4, F/S R N3 sizes from 10 to 100 Pockets. We are offering wide range of Fashion Designer Display Book. 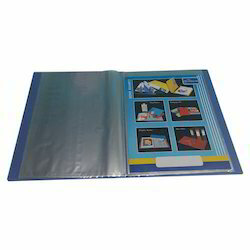 These display books are designed to display the contents and also protect them. These display books are provided with different colors and different sizes. Documentation folder for presenting and preserving certificates, plans, coursework etc. Available in capacities as indicated in the tabular column below. - Clear Display Books are multi-use books for everyday filing and display. - Durable, dirt and moisture-resistant. - 10 pockets for storing and displaying important documents. - Embossed sheets reduce glare and resist fingerprints or smudges. - Leaf file had been customised with front view pocket. - Company leaflet had been sealed in front view pocket. We are one of the best organizations in the market, involved in offering a wide collection of Display Book to the customers with the strongly support of our professionals.